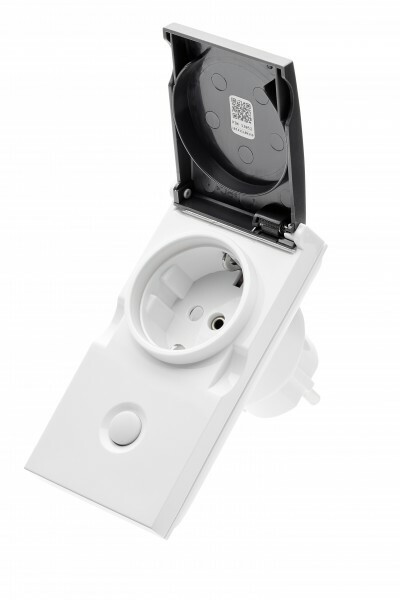 Product information "POPP Smart Outdoor Plug"
The Smart Outdoor Plug is plugged in between the a device and the power outlet and can switch loads up to 3.500 W. Via Z-Wave the plug will be connected remotely to your Smart Home Gateway. With that you can control the plug via App, remote control or with the local button. The present energy measurements are transfered via Z-Wave in W, kWh and A. Use the Smart Outdoor Plug to switch your sprinklers or outdoor lighting via remote control, Smartphone or automatically (in connection with sensor). With a Z-Wave Smart Home gateway you can also set different schedules, to switch the connected devices. Related links to "POPP Smart Outdoor Plug"